WARNING: this is a post about Mason and is for posterity sake. Could be a little lengthy for the common reader! 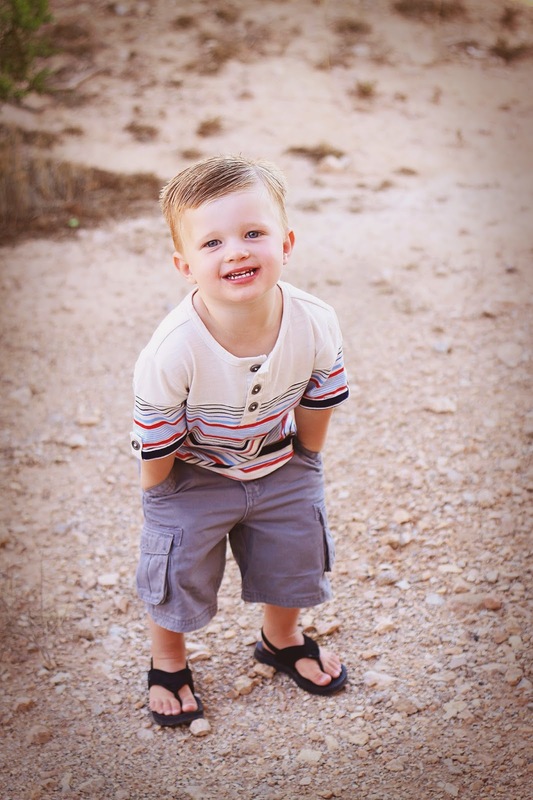 I don't know where to write down all of the things I want to remember about Mason so I am writing them down on this blog. He is at such a cute age and does the funniest things. I know it's always more entertaining as parents. He brings such a light and joy to our family that we just love. 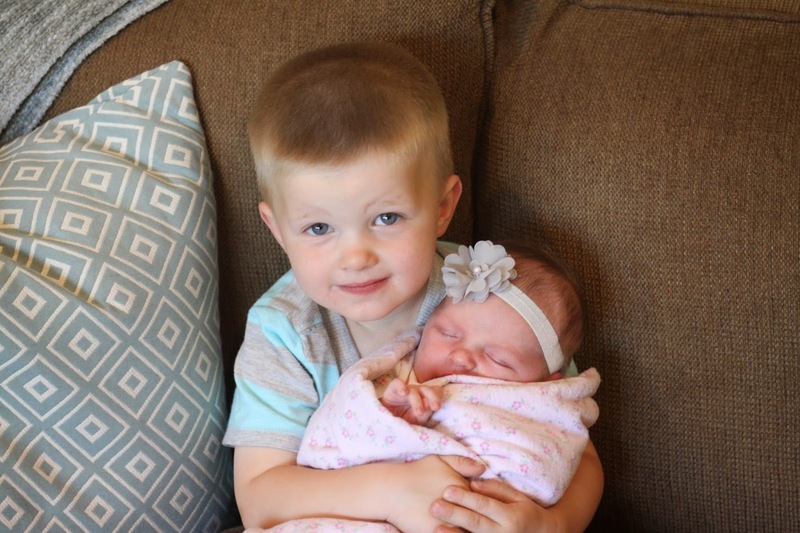 He has also shown us recently that he is such a great big brother. He is always looking out for Madison and loves it when she is awake just like him. I am not sure how much he will love it once she starts talking and getting a mind of her own, but we will cross that bridge when it comes!! Mason is 2 months shy of 3 years old. We just started potty training him last week. It's going okay. He still is obsessed with his ni-ni (blanky) and his flash light (he insists on going to bed with both). He loves it when we do rewards systems with him and they seem to really motivate him which is nice. He loves to where pockets. He will ask me first thing in the morning to 'put pockets on' so he can carry all of his little trinkets with him (phone and 'screw dwibe'). - He will tell us something and afterwards he will say "Sounds good mommy?" - Logan, Jude, Lexi, Hudson, and Anders are all talked about in our home. He always wants to go to their houses or meet them at the park. - He likes to do EVERYTHING by himself. It's wonderful when I need him to do something because I will ask him if he wants me to carry him over to me or if he wants to walk by himself or whatever it may be and he ALWAYS wants to do it himself. It's really awesome. - He loves waving to our neighbors. If I am waving and talking to our neighbors and I haven't quit gotten him out of the carseat yet, he will cry and cry asking to say hi. So I rush to do that and after he waves, he is happy again. - He plays with toys in the tub and calls his toys his kids. I hear things like "don't say stop it", "come on kid's lets go"
- When he is talking on his play phone he always says "Hi, How are you?, Good, I am good too"
- When we went to visit my dad's grave in Utah I wanted to use it as a teaching moment for him to learn about his Grandpa. When we got there he kept looking around over and over again saying "Where is Grandpa Mark, I don't see him". It was the purest reaction to the situation and broke my heart but it also gave a chance for my mom and I to tell him about his Grandpa who loves him. After when we got back to our house, he pulled out a picture of Grandpa Mark and said "Grandpa Mark is dead, Jesus is dead too". Smart kid. - There is this hilarious clip that Jimmy Fallon does called "ew". My brother and I quoted it often when I was in Utah. The things we would say in the Jimmy Fallon voice were "Whip Cream" and "How many Mega pixels does it have". The link is below to watch it because it makes no sense otherwise. Anyways, when mason is playing he will say in a silly voice to his toys, "You want some whip cream? ", "How many mega pixels does it have". Oh boy, I need to watch what I say around that kid!